Coping with nervous anticipation and butterflies may be the most challenging part of the first hole at breezy bend country club. Legendary golf course architect, Donald Ross, once noted that the first hole of any golf course shouldn’t be too difficult. “give the player a chance to warm up a bit,” he said. True to this theory, the opening hole is fairly straightforward and not overly difficult. 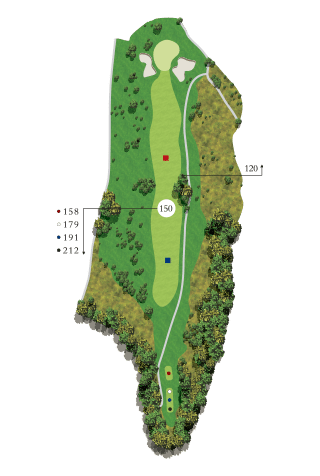 A solid drive aimed down the right side of the fairway will leave a short iron to a flat green. Proper club selection and accuracy is crucial because shots missed long or left will leave a demanding up and down. This, the first of four par fives on the golf course, offers significant challenge from tee to green. 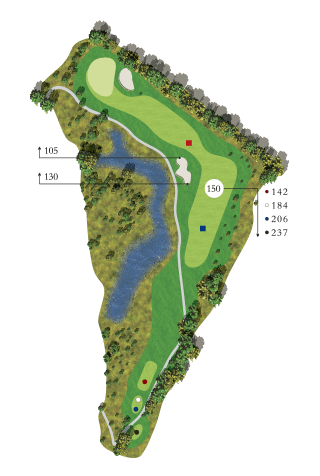 Off the tee, players must avoid out of bounds left and a large water hazard right. Hitting the fairway is imperative to get to this green in two. 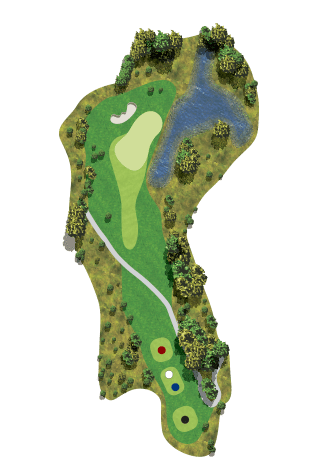 As with many holes at breezy bend, wind direction will ultimately determine the level of difficulty of this par 5. The new green is large and undulating. Do not miss this green long. This is a classic short par 4 that should not be taken for granted. This hole demands a well positoned tee shot just left of the firway bunker. The green is guarded by two large poplar trees and a bunker to the left. Two putts on this green is no small feat. This slight dogleg right may be reachable in two with a favoring north wind. A lay up may be considered as the green is well guarded by bunkers and out of bounds lurks behind. Can be a pivotal hole on the golf course. 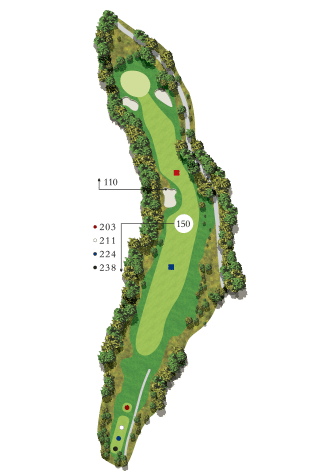 The first par three on the course is difficult enough at 176 yards, but it is usually played with a challenging cross wind as well. The relatively flat green is protected by bunkers left and right. 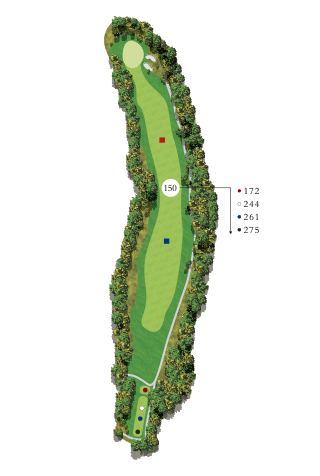 This straight away par 4 demands a long, well positoned tee shot. 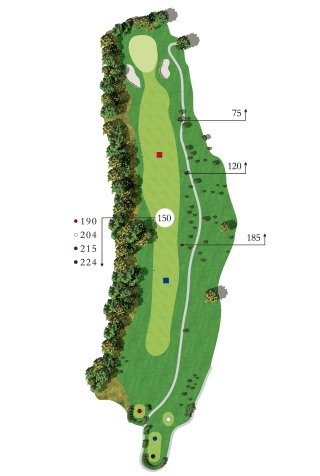 Players must avoid the two inviting fairway bunkers to have any chance at birdie. The large, undulating green is sloped considerably from right to left. 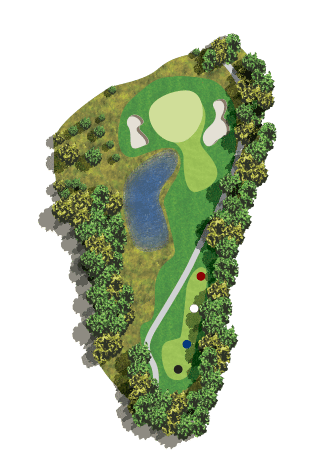 This second par three is the shortest hole on the course. Trouble can be found when missing this green in any direction, making shot selection from the tee critical. A water hazard flanks the front of the green, punishing the golfer who underclubs. The undulating putting surface is well protected by a deep bunker left and a steep bunker right. 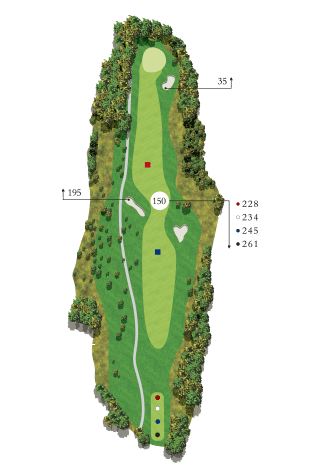 While an accurate tee shot is important on most holes at breezy bend, it is particularly crucial on the 8th hole. Players should favor the right side of the fairway in order to best approach this the smallest green on the course. Par is a very good score. One of the most difficult holes at breezy bend country club. 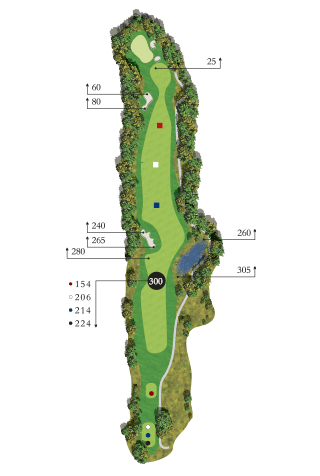 This straight away par 4 demands a long, well positioned tee shot. 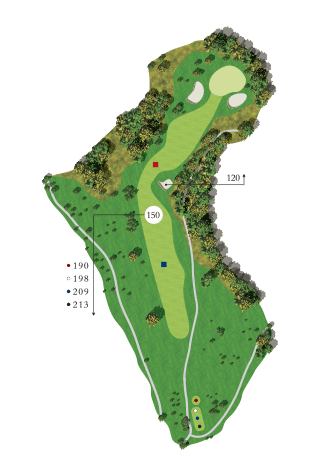 Players must avoid the two inviting fairway bunkers to have any chance at birdie. The large, undulating green is sloped considerably from right to left. This is the sharpest dogleg on the course. A cluster of trees and a bunker on the right corner can grab tee shots that are pushed or leaked to the right. Most players will try to find the heart of the fairway just short and left of the fairway bunker. 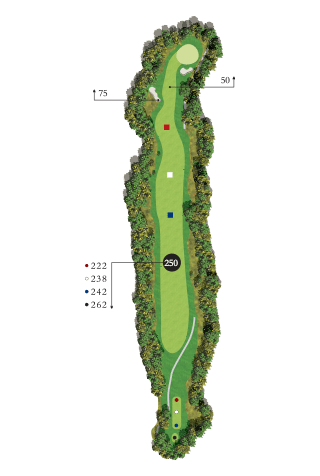 The longest players may be tempted to cut the corner to get close to the green. The putting surface is well protected by a deep bunker on the right and another bunker to the left. 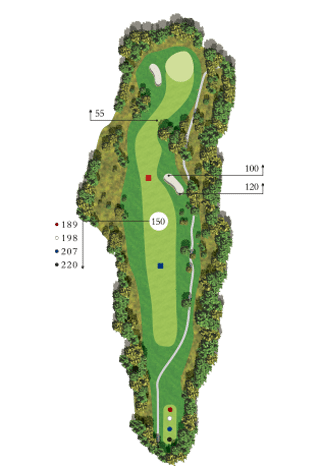 A well treed par 5 that requires an accurate tee shot. The second shot between a faiway bunker and trees also puts a premium on accuracy. Long hitters can risk going for the green in two. Can be another pivotal hole on the golf course. This is the first of a critical stretch of holes. A new green was constructed in 2001 adding approximately 20 yards to this already daunting hole. 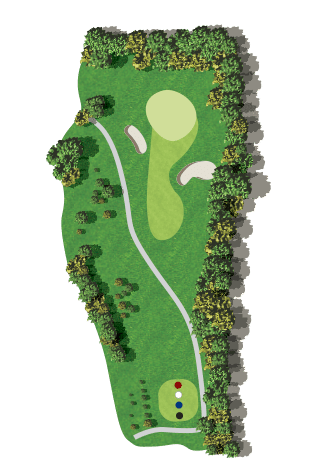 From the tee, most players will favor the right side of the fairway, which offers the best look at the green. A water hazard guards the green in front and a deep bunker awaits to the right. Two putts on this green is a job well done. A relatively short par 3 with out of bounds to the left and a water hazard to the right. The large undulating green slopes primarily from back to front and left to right. A classic risk reward hole. Long hitters may risk going for the green while the more conservative play is a long iron or fairway wood positioned just right of the fairway bunker. A short iron is all that remains to a large, flat green. 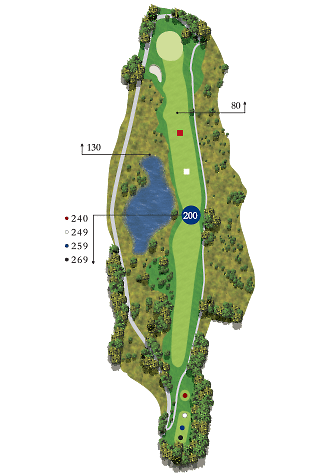 The longest hole on the golf course. From the tee, players must avoid the water on the left and a stretch of pine trees on the right. 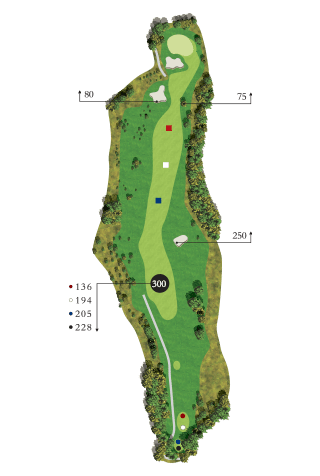 After a solid drive, the second shot must be steared clear of a bunker on the right side of the fairway approximately 130 yards from the green. The third shot is to a small undulating green. The toughest par 3 on the golf course. 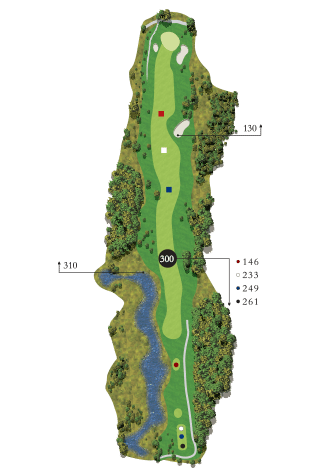 It requires a long difficult iron shot to a well bunkered, elevated green. Out of bounds lurks just right of the green. Players walking off this green will be very pleased with a score of par three. 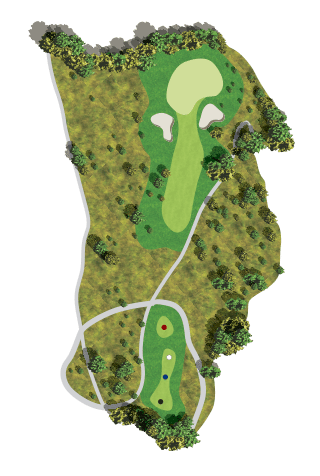 Players should aim their tee shots to the right center of the fairway on this demanding dogleg par four. Any shots missed to the left will leave a nearly impossible approach to the green. A mid to short iron will reach the undulating green. Often thought of as one of the most difficult finishing holes in the province, this superb par four plays uphill and slightly right to left. It requires a long accurate tee shot to a small landing area. The second shot is uphill to a large green with out of bounds closeby. Par is a very good score.